"Today, I witnessed magic and a fairytale," read the first line from Parineeti Chopra's post for newly-engaged cousin Priyanka Chopra and her fiancé Nick Jonas. Parineeti, who is also an actress, took a break from her shooting schedule, to be with her sister on the special occasion. 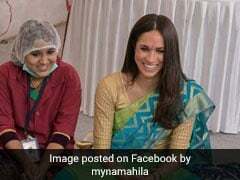 She flew to Mumbai this morning and in no time, she was pictured at Priyanka Chopra's home. Priyanka and Nick's roka ceremony was hosted in the afternoon, which was attended their families and close friends. "When we were kids, Mimi didi (Priyanka) and I used to play ghar- ghar. We would pretend to be shy brides, have imaginary children and serve tea to our husbands! Cheesy, but it's because we always believed in the magic of love and hoped we would both find that perfect man for us one day," wrote Parineeti, while adding a picture of herself hugging Priyanka. The Chopra sisters were colour-coordinated in yellow. Parineeti, who had hung out with Priyanka and Nick in Goa in June, also added, "Today, there was no pretending. I can't think of a more a perfect man for her. I know you're perfect for her. Love her, because she loves you like mad! Protect her, because she's strong, but a soft soul inside. I love you both and wish you all the happiness forever. HAPPY ROKA AND FUTURE WEDDING!" 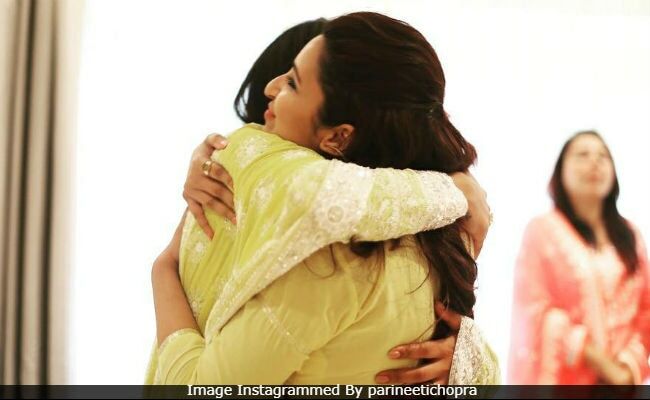 Take a look at Parineeti's Chopra's emotional post for Priyanka. Priyanka Chopra's close friends like Arpita Khan Sharma, Mushtaq Sheikh, Srishti Behl Arya and her team were invited to the roka. Nick Jonas is accompanied by his parents Kevin and Denise to Mumbai. Last evening, Priyanka and Nick dined at a Mumbai hotel with her mom Madhu and brother Siddharth. Nick is believed to have proposed to Priyanka in London on her 36th birthday. They met at last year's Met Gala, but reportedly started dating a few months ago. The couple haven't announced a wedding date yet.